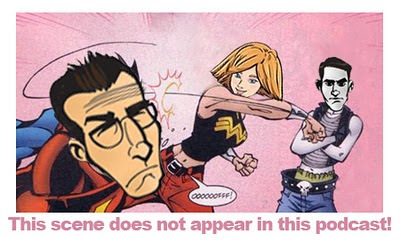 We have a new episode of the Nerd Lunch podcast. In this episode we discuss fast food mascots. And to help us with this discussion we welcome our special guest, Nick from DudeFoods.com. DudeFoods.com is a pretty awesome food website where Nick explores and creates all kinds of awesome foods. Some of his best stuff is the stuff he creates like the deep fried Lean Pockets or the Poutine Burger made with the awesome gravy/cheese curd fries that are like a national dish in Canada. 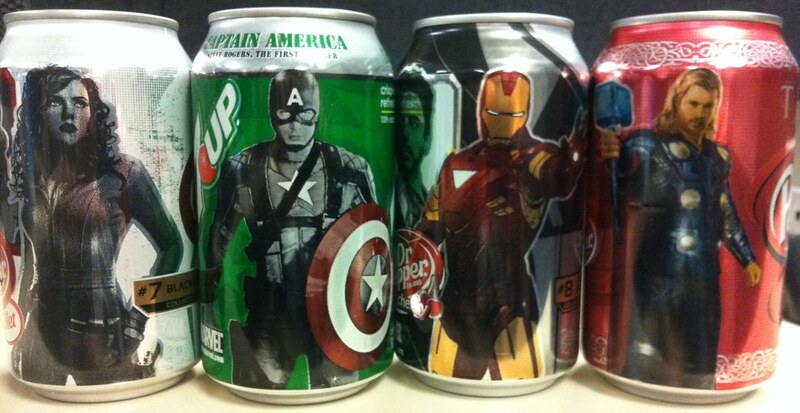 Nick helps us have a very lively discussion about some of our favorite fast food mascots and ad campaigns. Download and listen to us on iTunes or Feedburner. 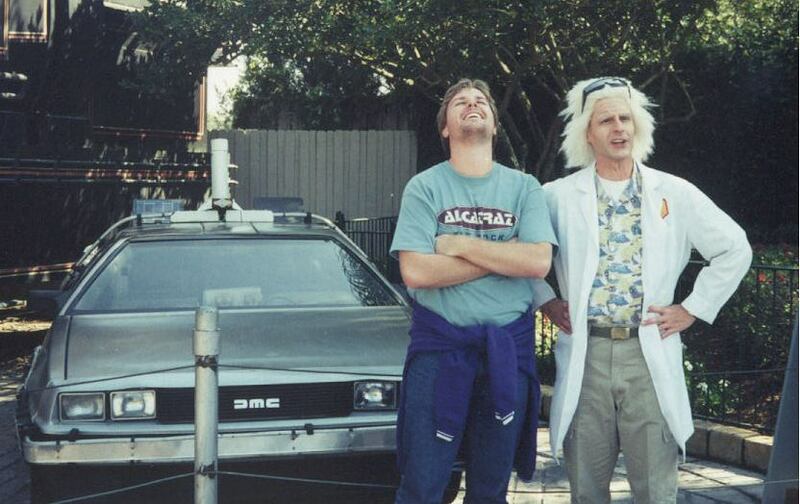 Or, listen in your browser here at Nerd Lunch. Also, I want to mention that today is my son’s 1st birthday. I can’t believe it’s finally here and I know it’s going to be all downhill and time is just going to fly from here on out. 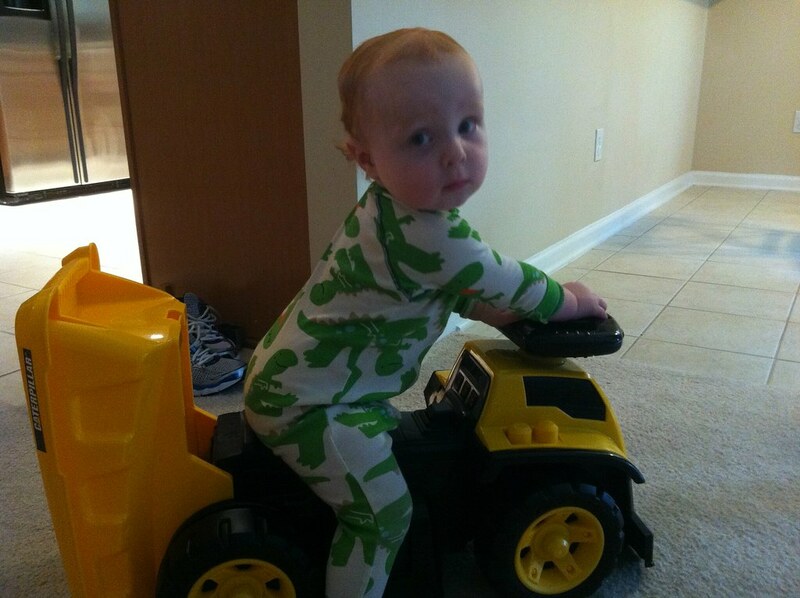 I can’t wait to watch him grow up, but I don’t want it to happen at the same time. So, AWESOME-tober-fest begins in like 2 weeks and I’m completely and totally unprepared. I’ve been seriously scrambling to set up articles for my daily celebration of Halloween next month. This is going to be a complete debacle. FYI, for the new readers, complete and utter chaos due to unpreparedness on my part is just business as usual here on the Cavalcade of Awesome. That guy knows what I’m talking about, don’t you? So, not only is it going to be AWESOME-tober-fest, I’ll also be participating in the Countdown to Halloween blogathon all month. The Countdown is run by John Rozum and Shawn Robare. I’ve been doing it since like 2008 or 2009. Hundreds of other blogs are a part of this enormous celebration of Halloween so check out the Countdown website for a ton of blogs contributing awesomely scary content. And it all begins on October 1st. 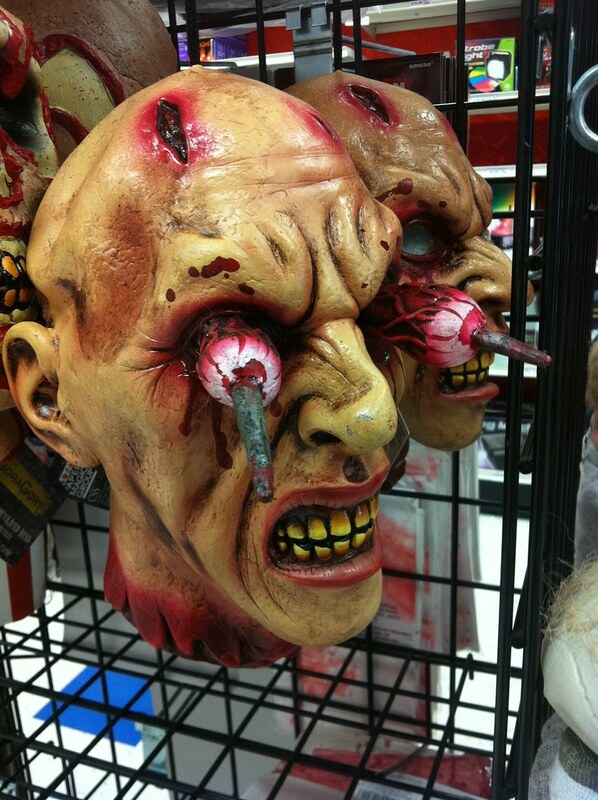 Anyway, I was shopping at my local Halloween store and found a bunch of cool Halloween props and costumes already. So, as a prequel to the coming Halloween festivities, I thought I’d throw up a few choice items that I’ve found in my hunt for Halloween goodness. First of all, there’s a company out there called The Chop Shop. They are making some of the most gruesome Halloween props I’ve ever seen. 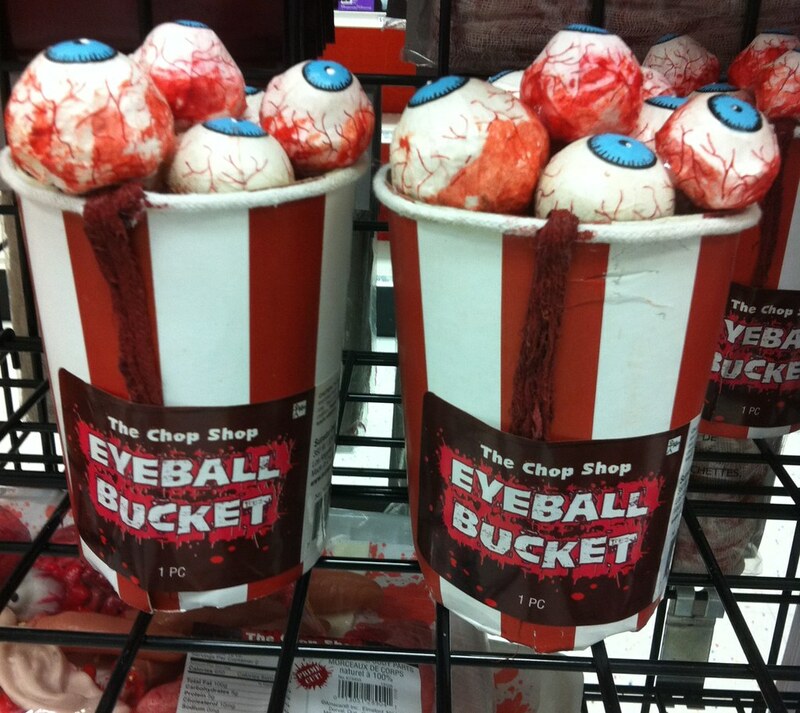 These two items are the eyeball bucket and a meat tray of human parts. And it’s wrapped up just like meat at your local supermarket. 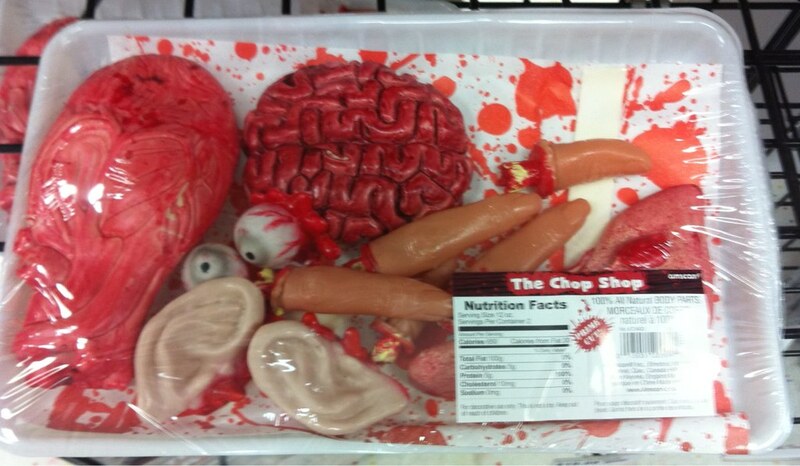 I have to say, I love the attention to detail in the packaging for the meat parts. 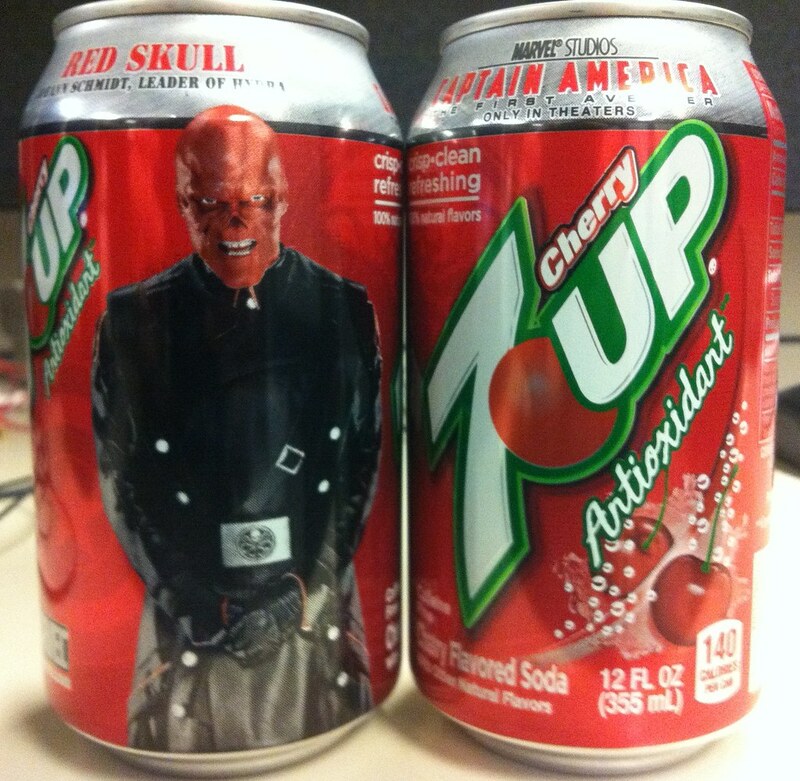 It’s gross, but it’s clever. Also by Chop Shop, here’s half of a skinned man that you can hang from the ceiling and a mutilated severed head. Take a look at that sumbitch. It is gruesome. I have to say I’m impressed with how gory and gross Chop Shop is going with this stuff. I mentioned last week that I was going to Vegas with my wife to renew our vows with Elvis. While there, we spent some time in a few casinos. I’m not a big gambler but I love walking casino floors and checking out the other gamblers and the various themed slot machines. Casinos are awesome. It’s like walking into an arcade back in the 80s. Lots of lights and noise. People hunched over lighted consoles hoping to get high scores. I love going to casinos. Like I said, I’m not a huge gambler, but I love looking at slot machines. They are the modern equivalent of upright arcade games. I’ve talked about my love for slot machines before and their taking the torch of the arcade machine. 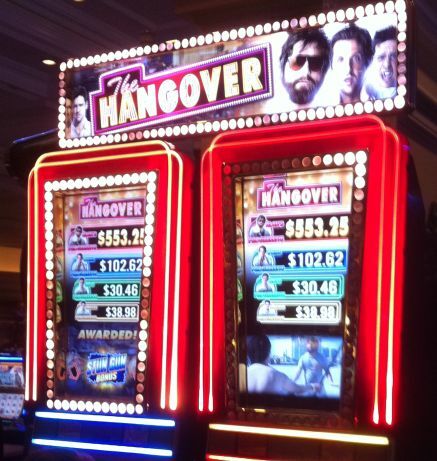 Anyway, here are 18 slot machines I found that are based on movies or TV shows. You can click any of these images to see them bigger. 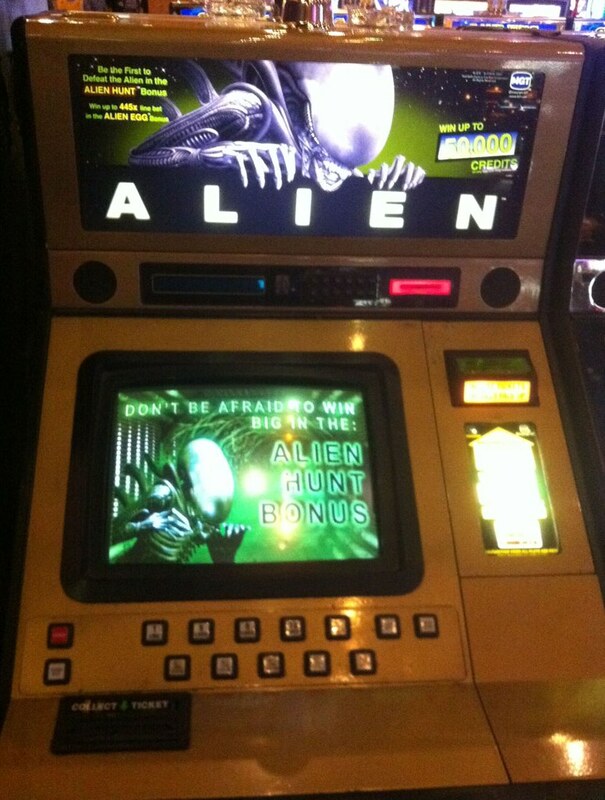 Alien – As you can see, there are two versions of the Ridley Scott Alien slot machine. 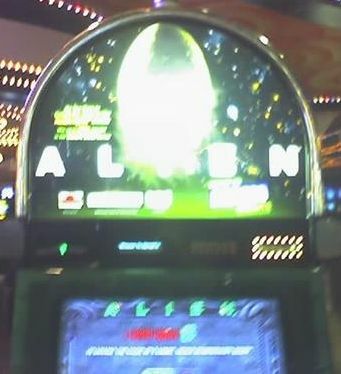 One slot machine has the picture of the egg from the theatrical one-sheet and the other has a picture of the alien xenomorph and includes a special Alien Hunt bonus. 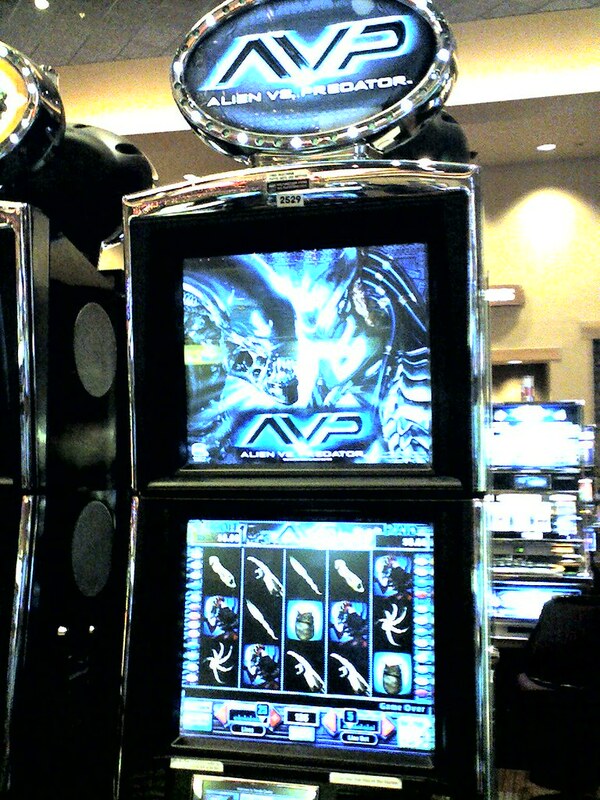 Alien vs Predator – You got an alien slot machine, you also get an Alien vs Predator. Unfortunately, there isn’t a standalone Predator machine. Monty Python and the Holy Grail – One of my favorite movies of all time. 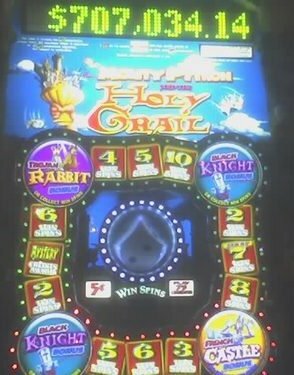 This slot was great because it had a ton of quotes from the movie, as well as clips and a special bonus round where you fought the black knight. There were even “hot spots” on the screen you could touch to generate a random quote or sound from the movie. 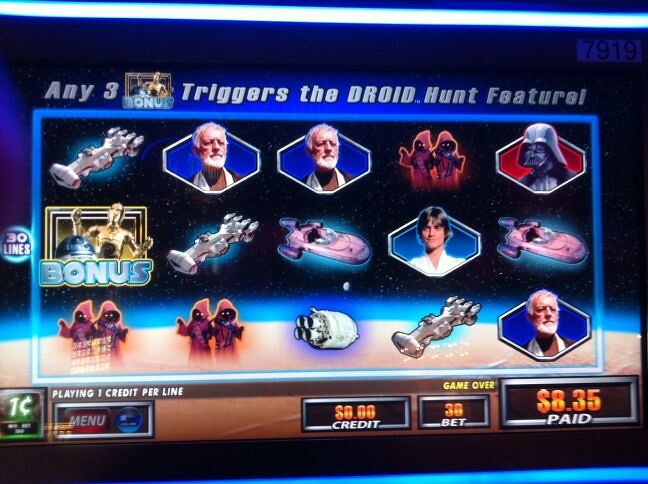 Star Wars Droid Hunt – This slot machine was pretty awesome. Lots of images and sounds from the original trilogy. Back in the late 90s, there was another Star Wars slot machine called Death Star Escape. It was cool because there was a bonus round that activated a model Death Star built into the housing that started spinning. 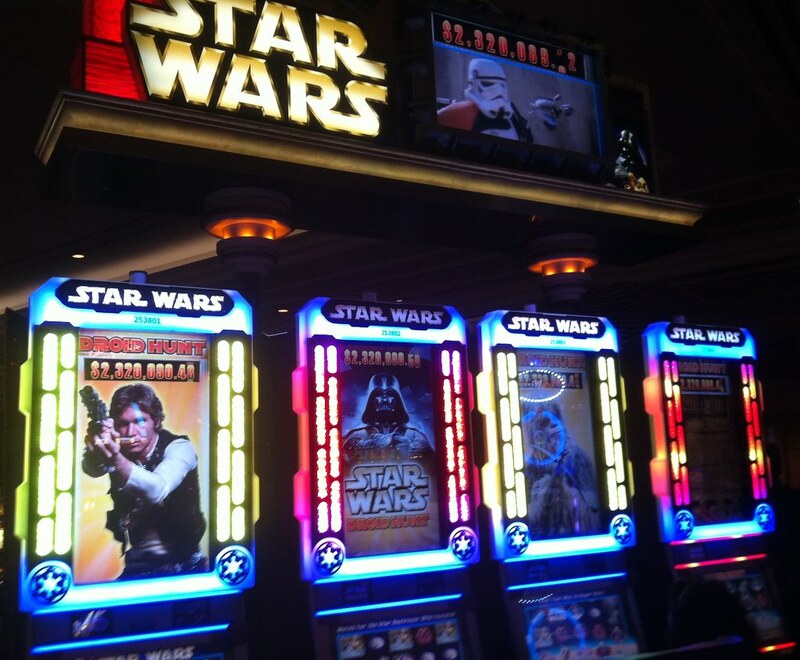 Funny, I’ve never found a Star Wars slot machine based on the prequel movies.